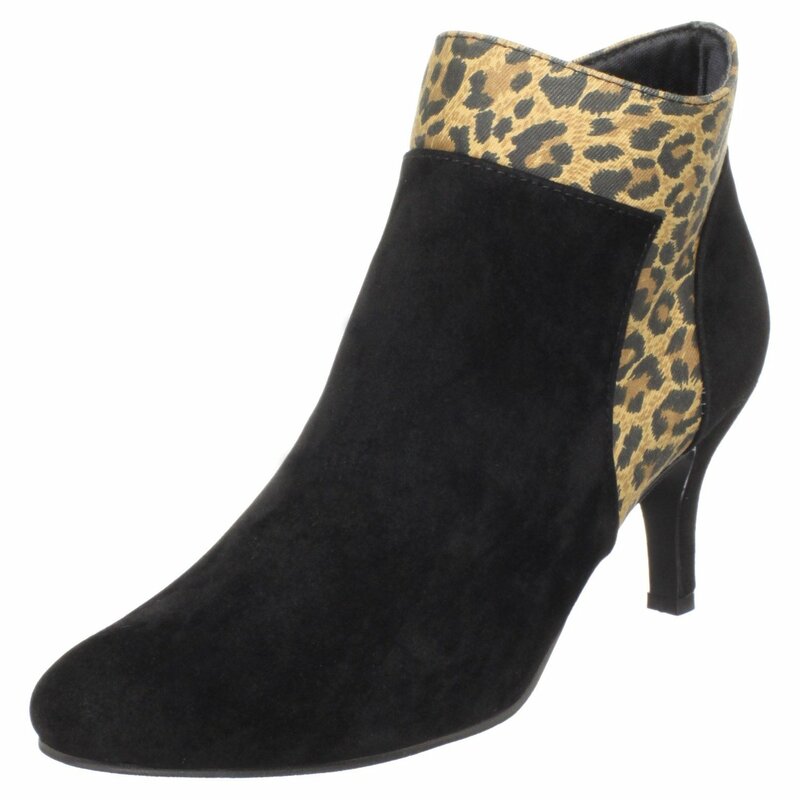 With its trendy charm and surprising versatility, this little zip-up ankle boot with Leopard trim from Annie is sure to become the darling of your wardrobe. The sleek, leather-look design features a softly pointed toe, tonal trim, and a wrapped, mid-height heel. Go chic with a tights and tunic ensemble, or play up its sophisticated appeal with wide-legged pants and a tailored blazer. FREE TWO DAY SHIPPING – FREE RETURN! Established in 1985, Annie Shoes has established itself as a Fashion Favorite for Moderate prices Footwear. Named after the Panda Bear ( ANNIE ) in the owners home town. With over 30 years experience in the footwear industry, Annie Shoes Prides itself on Quality and Fit. Offering a collection of Evening, Dress and Casual Footwear for everyone. With constant research of the market place we offer the most up to date detailing in materials, colors, and ornamentation. Enjoy your selection!!! !